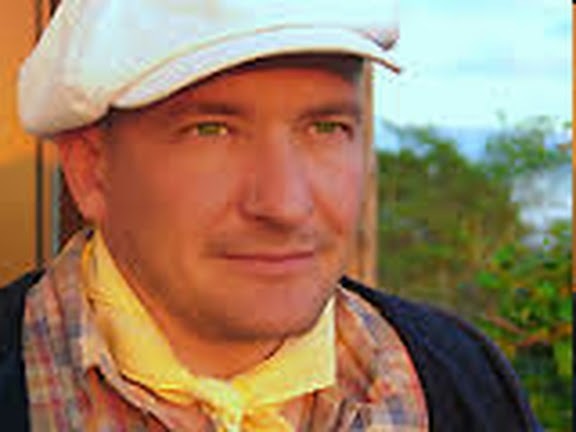 The problem with looking into the history of a place is that sometimes you end up with a feeling of total disconnect – a feeling that the place you know so well could not possibly have been anything like what your research tells you. Less than two hundred years ago Tavistock was completely and utterly different. It was an industrial town which depended on people to provide most of the power needed to drive that industry. One thing is certain, 200 years ago there was no Book Stop. It was here, as I am sure most of you know, that the launch party for Marcia's first novel Those Who Serve was held. That was a long time ago but the book is still in print and continues to sell in both print and ebook editions. 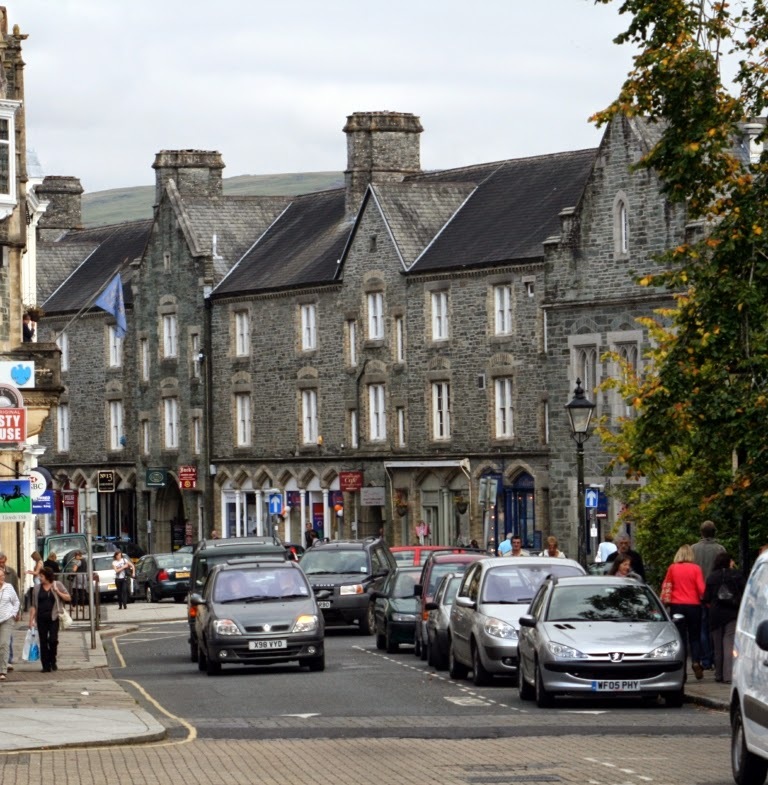 In the early 1800’s copper in considerable quantities were found in and near Tavistock. This simple fact had a huge impact on the townspeople in general but what I want to talk about is what happened to numbers of young girls and women: they were employed in the copper mines carrying out filthy, back-breaking work all of which started when they were no more than thirteen years old. No Bedford Hotel . . . They weren’t employed underground (or, if they were, there is no record of this happening) but it was their job to carry out all the work needed to convert the ore bearing rocks and detritus that was dug out below and brought to the surface. The whole process was called ‘dressing’ and the areas where most of the work was carried out were called ‘dressing floors’. Some were covered, others were in the open air. No Crebers . . .
First all the material that had been mined had to be taken from the mine head to the dressing floors. This was done by teams of two women using shovels and hand barrows: usually in their twenties because this work demanded great strength. Next was work for the younger girls: to wash out the rubbish and put to one side the lumps of rock in which there would be copper ore. It was important that these girls neither discarded valuable ore nor allowed useless material to be passed on to the next process. In short it demanded knowledge and considerable concentration. New girls would work alongside those with experience in order to learn the job and all day their hands – and often their clothing – would be wet as they carried out this physically demanding work: they would be lumping around pieces of rock that could weight up the thirty pounds or so all day long. No Duke Street . . .
All this work built up their strength and they would be moved onto breaking up the rock and turning it into a powder. This was done in two stages. The first used short and heavy club hammers to break the rocks down to the size of pebbles – the second used flat headed hammers to break up the pebbles and grind them to powder. Then would be the final stage: the separation of the particle of copper ore from the ‘guange’ (pronounced ‘gang’) which comprised all the bits of stone and so on which were of no value. This part of the job is almost exactly the same as panning for gold – using water to separate out the lighter guange from the heavier metal or ore.
We are talking about quite big concerns: we know that one mine employed over a thousand workers at one time and the other was a somewhat larger operation. That would mean that a third of the town’s population was involved. Can you imagine what those working conditions were like? Can you imagine any of our youngsters today being prepared to carry out such work? One thing is for sure: none of Marcia’s characters would recognise the Tavistock of 200 years ago. It was the copper that lined the pockets of the Duke of Bedford who was to use much of this wealth to rebuild the town in the 1830’s. Few of the buildings in the centre of the town existed then: no Guildhall, no Pannier Market, no Duke Street, no Crebers in which to meet Felicity out shopping and no Bedford Hotel in which to eavesdrop on Kate and Cass gossiping over coffee. 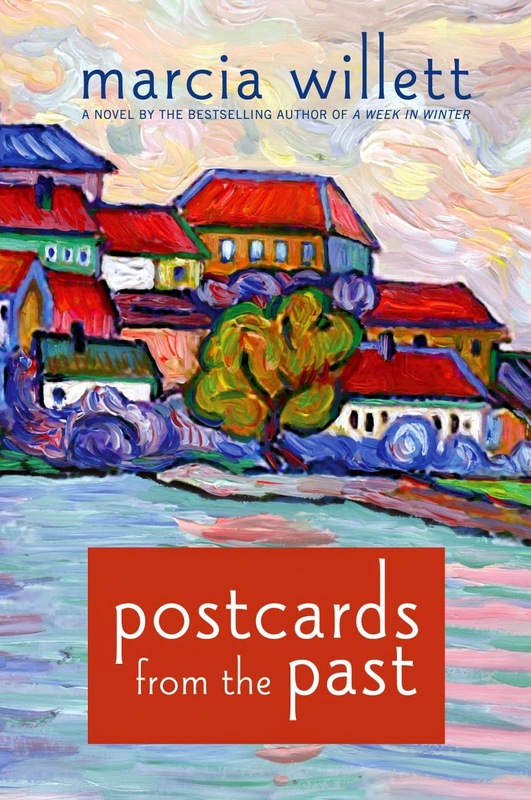 This is the cover of Postcards from the Past as published in the USA. The painting is by Vitali Komarov and Marcia loves his work (we have one of his original oils hanging in our sitting room) and she was thrilled to bits when St Martin's Press decided to use his work on the covers of her books. If you want to see more examples of Vitali's work, click here. The real loss is that there was no Marcia Willett in those days to leave behind a word picture to enable us to imagine what it felt like to be living there at that time.